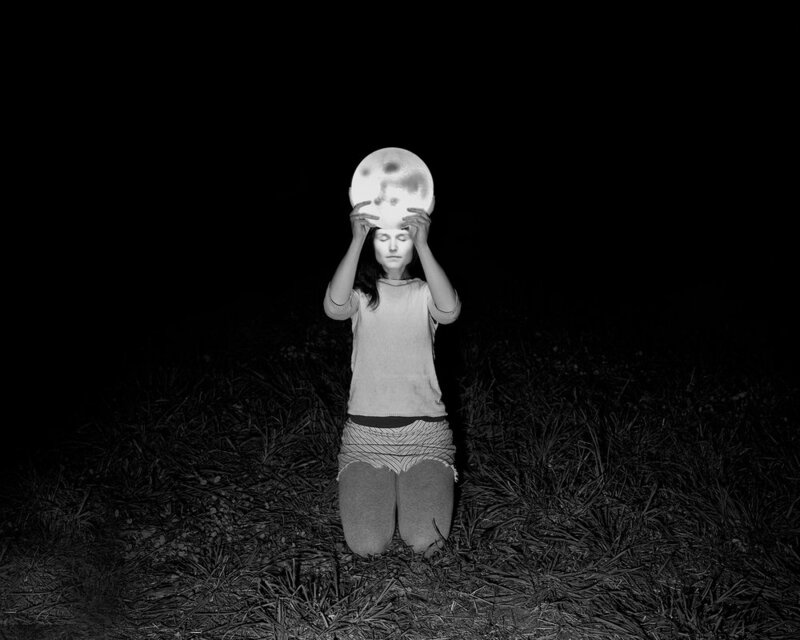 Kristen Lorello is delighted to present a solo exhibition of black and white photographs by Scott Alario. 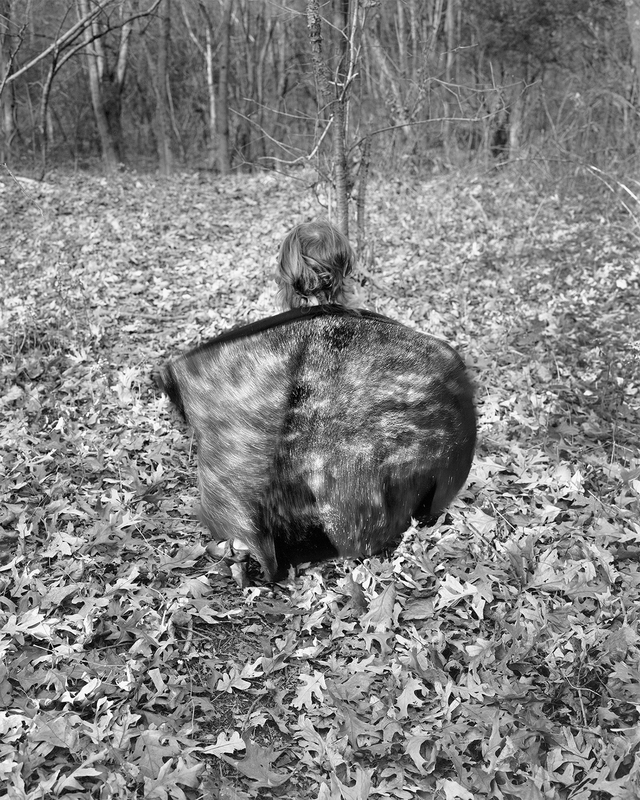 The exhibition, "What We Conjure," will be on view from June 5th to July 18th, 2014, and will include approximately ten small and medium-sized works. This is the artist's first solo exhibition at a New York gallery. 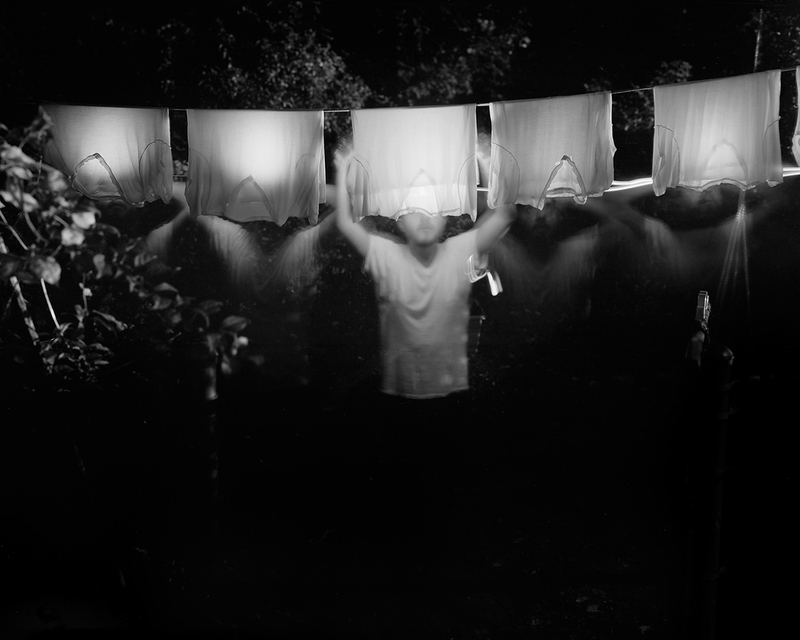 "What We Conjure" includes staged depictions of Alario's immediate family and their surroundings, photographed over the course of two years in Rhode Island and Maine.Using a large format 8 x 10 view camera, Alario employs devices such as multiple exposure and blurring to lend a surreal quality to everyday scenes.For example, in In Sagittarius (above), Alario photographed both the North Star and his daughter, Elska, from various angles, exposing the film to multiple takes to create the illusion of a disappearing figure beneath a cluster of stars. "What We Conjure"continues Alario's interest in the role of men in child rearing within the family. 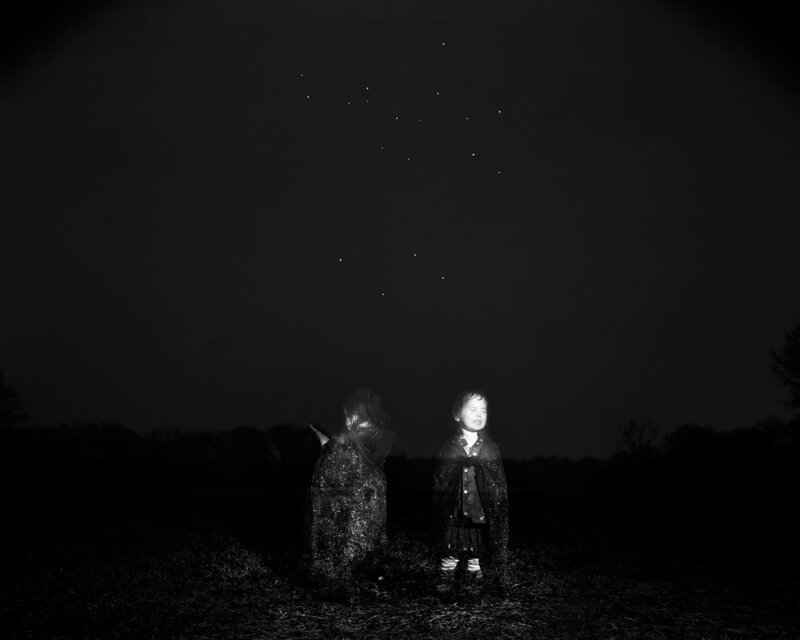 In his 2012 artist book, Frontier Fathers, Alario inserted images of children into historic photographs of male explorers, while in a separate body of work, Night Waking, he used a camera designed to catch game on the trail to document his toddler, Elska, while walking in her sleep.In "What We Conjure," Alario appears on both sides of the lens, as both a recorder of family life and a participant in it. 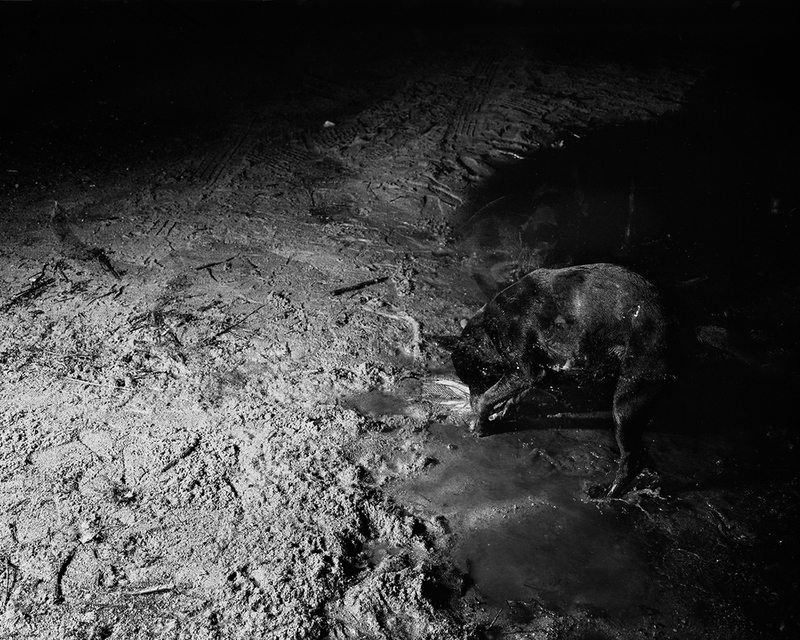 Scott Alario was born in New Haven, CT in 1983 and currently lives and works between Providence, RI, and Alfred, NY.He received his MFA in photography from the Rhode Island School of Design in 2013.His work has been included in group exhibitions at Louis B. James, NY, 2013-14, and ClampArt, NY, 2013.In 2011 Alario was named one of seven emerging photographers to watch by Art New England.He is the recipient of a 2012 Fellowship Merit Award from the Rhode Island State Council on the Arts. Kristen Lorello is located at 195 Chrystie Street, #600A, NY, NY.Gallery hours through July 3rd are Wed-Fri 12-6 and Sat-Sun 2-6.Gallery hours after July 9 are Mon-Fri 11-5.The gallery will be closed the Fourth of July weekend.Please contact 212 614 7057 for more information.